The Crane National Vendors 147 and 157 Snack Machines have dual helixes in order to aid in vending product. This machine is able to service large locations. 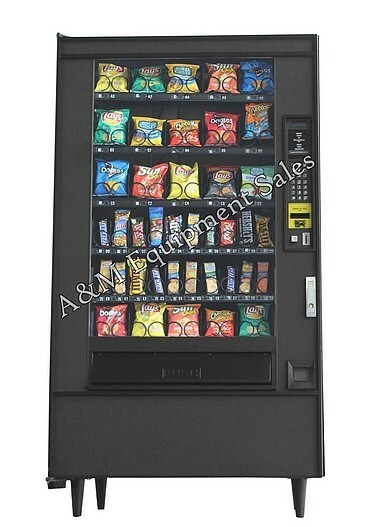 National 147 Snack Machine has dual helixes in order to aid in vending snack items correctly. The National 147 Snack Machine also has scrolling prices so you never have to look for price labels they are already there. With 40 selections of snacks and 20 chip-pastry selections and 20 candy-crackers selections the National 147 Snack machine has the selections and capacity a large location demands. 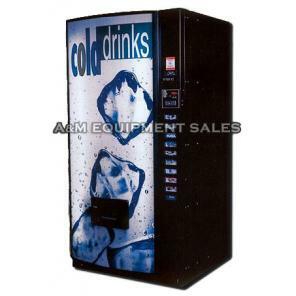 We also have the newer version the National 157 Snack Machine for $100 dollars more which is MDB compatible and takes an updated MDB coin mech and bill validator. Every one of our machines go through our extensive refurbishing process so that when it is finished it looks and works like brand new. Many parts are replaced since we have had years of experience knowing just what to replace to the make the machine work correctly. Check out our refurbishing video on the home page. 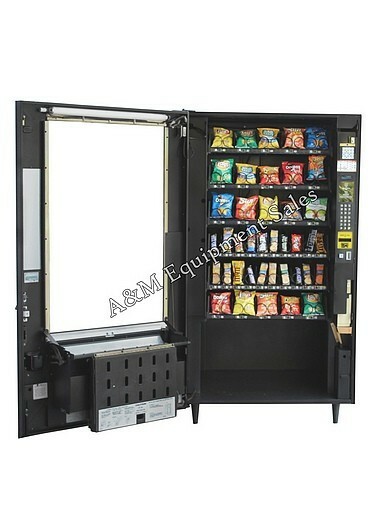 Both the models 147 & 157 Snack machines dispense 40 Selections of snacks. 20 chip-pastry selections and 20 candy-crackers selections. Comes with dual helixes in every chip and pastry selection. Comes with remanufactured MEI coin mech and bill validator. 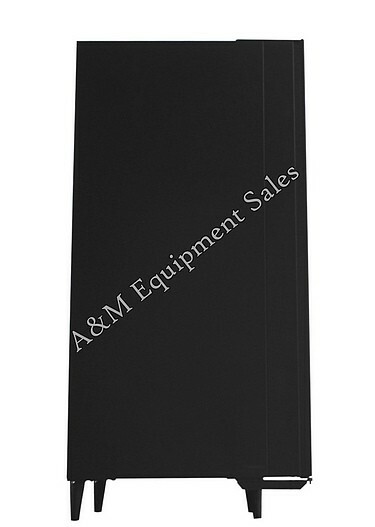 Optional New credit card reader can be installed for $299.00. Includes new trim and poly carbonate panels on sides, back and front. Includes lock and 2 keys. Price National 147 $1,495.00 USD. Price National 157 $1,595.00 USD. Warranty: 90 days parts with telephone tech support as long as you own the machine. Shipping not included. 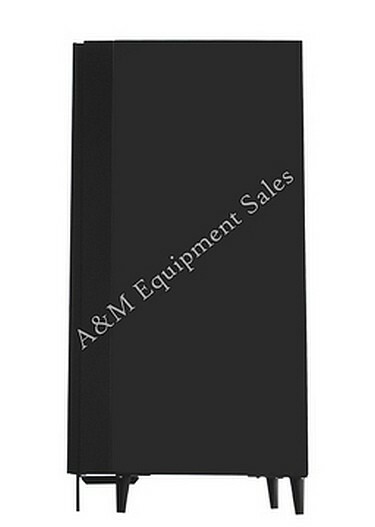 Professionally remanufactured by A&M since 1964 (see refurbishing procedures).